Home - Arizona Pulmonary Specialists, Ltd.
Arizona Pulmonary Specialists, Ltd. is a multi-specialty private practice with offices in Phoenix and Scottsdale, Arizona. Our physicians and staff are dedicated to providing the highest quality care to patients with lung and infectious diseases in the office, acute care, and long term acute care settings. Our board certified pulmonary/critical care physicians are dedicated to the prevention, diagnosis, and treatment of COPD, asthma, cancer, and other pulmonary diseases, sleep disorders, pulmonary hypertension, and care of the critically ill.
To fight infectious diseases of all types and in all organs, our practitioners provide in-patient and out-patient care to patients with HIV as well as infections of the bone, blood, brain, skin, abdomen, chest, and other areas, as well as many other illnesses. Endocrinology relates to the diagnosis, treatment and management of disorders and diseases dealing with hormones such as diabetes, hypothyroidism, and many others. Our physicians offer a variety of treatments and diagnostic services to help restore the normal balance of hormones and improve quality of life. Chronic pain affects millions of Americans every year. The rheumatology physicians here at Arizona Pulmonary are committed to providing quality services related to rheumatologic care. Our focus is to effectively identify and treat arthritis and other diseases that affect the muscles, joints, and bones. We emphasize personalized patient care and education, state of the art procedures when indicated, and clinical research when appropriate. Please allow ample time to find the office location and park. 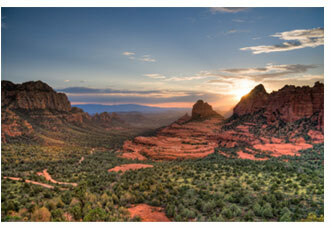 Arizona Pulmonary Specialists, Ltd. is hiring!